It was a lucky weekend in the United States. A lottery ticket sold in the state of New Hampshire won a jackpot of $559.70 million on Saturday night. Just one day earlier, a lottery ticket sold in the state of Florida won a $450-million Mega Millions grand prize. The Reeds Ferry Market in Merrimack, New Hampshire, sold Saturday's winning ticket. The jackpot was the eighth-biggest in U.S. history. After the store opened for business early Sunday, many excited customers stopped by to congratulate the owner and talk about the win. Sam Safa owns the Reeds Ferry Market. He said he does not yet know who the winner is. But he hopes it is one of his regular customers. "I'm very excited and overwhelmed," he said. Safa's store will receive a $75,000 award for selling the winning ticket. "Someone woke up a multi-millionaire this morning!" said New Hampshire Lottery director Charlie McIntyre. As of Sunday evening, a winner had not yet come forward. The Florida Lottery says the winning Mega Millions ticket was bought at a 7-Eleven store in Port Richey. The shop will receive a $100,000 award for selling that ticket. The identity of the Florida winner also had not yet been revealed. With no jackpot-winning tickets sold in either game since October, the two lottery grand prizes totaled more than $1 billion. The chances of winning the Mega Millions jackpot are one in 302.5 million. Powerball chances are one in 292.2 million. The largest Powerball jackpot was a $1.6-billion payout split among winners in California, Florida, and Tennessee in January 2016. 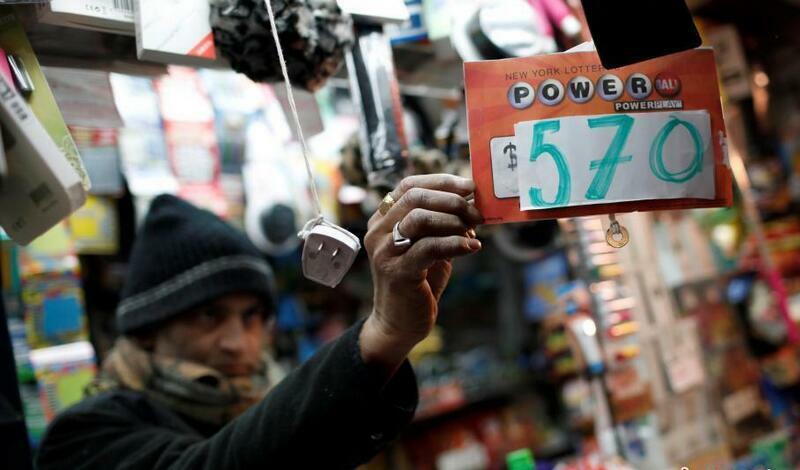 Powerball tickets are sold in 44 states, and Washington, D.C., Puerto Rico and the U.S. Virgin Islands. The largest Mega Millions jackpot of $656 million was won in 2012. I only passed the time of day with him. We didn't talk about anything important. People stood in a long queue to buy lottery tickets. She stopped by the ice-cream shop and had a chocolate cone. Since I am a regular customer, they always give me a good discount. 5.As of Sunday evening, a winner had not yet come forward. No witnesses have come forward. Investigations have ground to a standstill because no witnesses have come forward. 6.After the store opened for business early Sunday, many excited customers stopped by to congratulate the owner and talk about the win. The clinic opened for business last October and since then has treated more than 200 people. The new mall has opened for business.